Ai Editorial: From being NDC-ready to implementing it - how IATA is focusing on it? Ai Editorial: IATA has been evaluating the performance of NDC - what is missing to attain 20% sales-target that is going to be powered by NDC by 2020? What is the roadmap of an organization’s NDC IT deployment? Ai’s Ritesh Gupta assesses new initiatives related to the standard. The way IATA’s New Distribution Capability (NDC) standard is shaping up is a keenly followed topic in travel distribution. Be it for the volume of the business that is being facilitated by the NDC standard to focusing on NDC-compliant IT systems to assessing the readiness of airlines, intermediaries, IT specialists etc., it is fascinating to assess progress made by various stakeholders. Amidst all the discussion around industrialization of the standard, one of the recent developments has been the addition of new certification levels, planned for early next year. First, Level 4 will feature Servicing Messages. • Technical setup (ability to run an NDC API on Service Level Agreements (SLA) with performance requirements for areas such as response time, availability, available transactions per second, error management, etc.). • Organization setup (work on support needed to connect new partners and to run the operation). • Use cases (consider the implementation of standardized messages workflows across the industry). • Capabilities (consider the coverage of key features (Shop, Order/Service/Pay) powered by an NDC API and the ability for airlines to replicate some features currently possible through the traditional channels (GDSs) as well as the ability to provide additional content). IATA will start recognizing the ability to have servicing messages in place through its NDC certification program with a new level of certification (Level 4) starting next year. These initiatives are surfacing as IATA has been evaluating the performance of NDC - what is missing to attain 20% sales-target that is going to be powered by an NDC API by 2020? 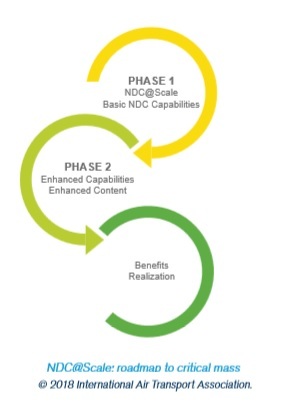 What is the roadmap of an organization’s NDC IT deployment? Highlighting the significance of Service Message Requirements, he said these are for cases where there is an order. “Within the NDC certification process, Levels 1, 2 and 3 mean that an entity can create an offer, take the offer and create an order from it. Service Messages come into play when you need to change the order, modify the order, delete the order – do anything to that order after the order is created. It is no longer just about sending or not being to send the message, but is the message being used to do what the message intended to do? Part of it will come into ONE Order certification, which is expected to commence in January. It will be similar to NDC certification – again, helping to show whether ONE Order is being used or not,” explained Harris. JR Technologies’ NDC platform has been powering InselAir’s Internet bookings since September this year. “We also worked on [Curacao-based airline] InselAir’s successful ONE Order pilot – where we created orders and boarded passengers without issuing tickets or creating PNRs - for our joint public presentation with InselAir, JR Technologies, Airline Choice, and IATA in Athens in early October,” shared Harris. There have been discussions around the utility of the NDC standard 17.2 vs. 18.2. Harris pointed out that with 18.2, the mapping of messages using the IATA Airline Industry Data Model (AIDM) is complete, as well as the including of ONE Order messages, the latest version is a complete end-to-end standard. Adoption would be dependent upon the individual use case and the expenditure involved, but it is a question when, not if, the NDC and ONE Order processes will become the operating standard in the industry. IATA is proposing to airlines an implementation plan revolving around two key phases. In the first one, airlines would focus on basics of their NDC implementation mainly their API connectivity and their Offer and Order Management system with basic functionalities and product and services. The competences finalized are primarily replicated from the traditional channels (GDSs). During this period IATA suggests that airlines pursue the criteria chosen for NDC@Scale that underline the minimum required capabilities to initiate processing high volumes of NDC transactions. 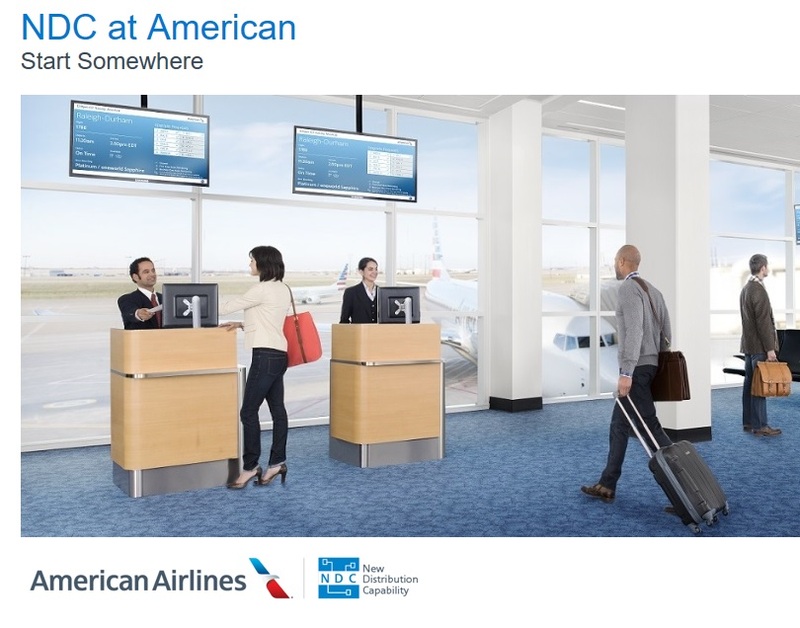 In the second phase actual benefits surface as airlines start executing supplementary capabilities (such as dynamic pricing, rich content, personalization etc.) that are facilitated by NDC. Plus, during this phase, airlines will be in a position to propose enhanced content in the form of new products and services and new shopping experience for sellers and customers. Ultimately, this roadmap will be driven by customers’ needs i.e. the travel trade, the buyer and the needs of the traveler (business and leisure), according to IATA.